It's really annoying when you turn on mobile data and WhatsApp starts downloading photos and videos automatically. WhatsApp has added this feature for some good reasons but in actual, its a real headache for all of us. Your Gallery might be full of hundreds of useless pictures and videos due to which your phone may start running out of low space. What about the data usage and storage problems it will create? Fortunately, WhatsApp has an option to stop this auto-downloading feature. Then you can download photos and videos manually as per your own choice. 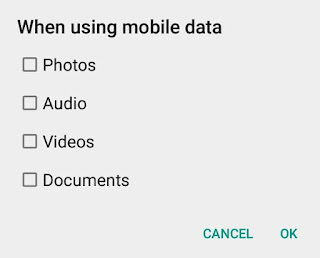 This will probably help you to save little mobile data and your device storage. 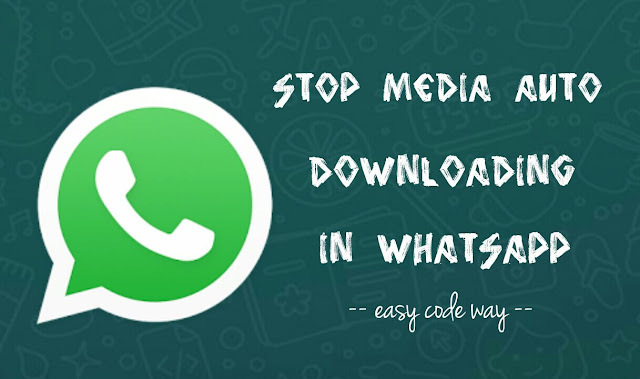 You will have more control over WhatsApp and Gallery media files. Here's a complete guide on this topic. 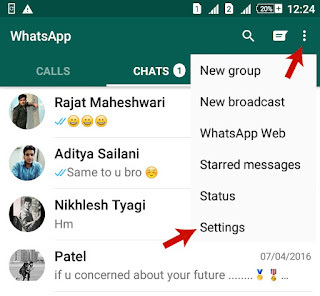 First launch the WhatsApp app in your Android phone. Now tap the menu button (three dots at the top-right corner of the screen). Next, go to "Settings > Data Usage". 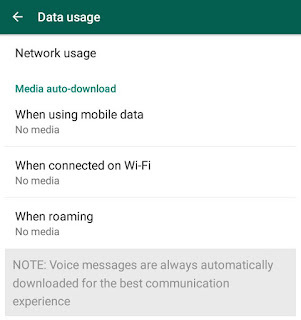 Here tap the "When using mobile data" option. Now untick all media files (such as images, videos, audio or documents) that you wish to stop from auto-downloading and then click OK button to save changes. In the same way, you can stop auto-downloading feature for Wi-Fi connection and roaming. Note that, voice message are always automatically downloaded for the best communication experience. Sometimes you wish to hide WhatsApp photos and videos from your phone Gallery and other media apps for some personal reasons. You can easily do so by creating a .nomedia file. Nomedia is generally an empty text file of 0KB size. When a .nomedia file is encountered by apps, they automatically skips the folder (and sub-folders also) to index them in their library. It simply guides them that there is no media file present in that particular directory. First launch the file manager app (eg: ES Explorer) and navigate to the path where the text file is saved. Next, select the file and click "Rename" option. Now erase everything including format type and replace it with ".nomedia". Make sure to add dot symbol before it. Finally move this nomedia file to WhatsApp folder and that's it. If you have any doubts, feel free to share them in the comments.